That’s how my grandfather described himself to New Mexico voters, and he did not exaggerate. Though his origins were humble, and he attended only two years of high school, he “could do about anything.” That he did just about everything is the hallmark of his remarkable life. Jesse Clarence Williams was born in Texarkansas, Arkansas, on 20 July 1895, the fourth son of Jesse D. and Ocie Ola (Manning) Williams. The following year, the family moved west to Water Valley in Tom Green County, Texas, where his father raised cotton and struggled to keep stock. Perhaps it was the need to keep up with three older brothers but Jess learned to walk well before he was a year old. Six more children were born to the couple while they lived in Water Valley, another boy and five girls. When they moved even further west in 1910, they left behind the graves of the three youngest girls. The family settled in Sierra Blanca, then El Paso County, the junction of the Texas & Pacific and Southern Pacific Railroads. Jesse D. ranched at first but by the 1920s, he had opened a filling station, and later the first Ford dealership in town. Several of Jess’s brothers worked at the filling station (it was later taken over by a son-in-law), but Jess had other plans. Hudspeth County was formed from El Paso County in 1917 and Sierra Blanca became its county seat, creating new opportunities. Jess was photographed (first row, second from right) with the “First County Officials”; his title was Public County Weigher, Precinct 1. When Jess registered for the draft on 5 June 1917, just shy of his 22nd birthday, he sought exemption from service based on his status as a self-employed druggist. The claim failed—he was inducted into the army on 28 May 1918, and served in the 132nd Field Artillery (36th Division) of the American Expedition Forces. After six weeks of training at Camp Bowie near Fort Worth, the regiment sailed for France on 31 July. Another six weeks of training under French officers followed. The Armistice was signed before the unit entered combat, but the men stayed overseas until spring. Jess was discharged at Camp Bowie in April 1919. He returned to his parents’ household, and by 1 June 1920, was working as a store clerk, but his life would soon take an important turn. While Jess was serving in the army, Amy Clare Walling was enrolled at the College of Industrial Arts in Denton, Texas. Family legend holds that when Jess saw Amy arrive in Sierra Blanca by train in 1919–she had come to teach school–he knew immediately she was the woman he would marry. They wed on 27 July 1920 in Elgin, Amy’s hometown near Austin , and honeymooned in Cloudcroft, New Mexico, a mountain resort reachable only by train. Jess and Amy settled in Sierra Blanca and welcomed their first daughter, Mary Elizabeth “Biddy,” the next year. Katherine Louise “Lou” followed in 1923 and Jerry Loyd arrived in 1929. During the 1920s, Jess returned to civic employment. He was a Hudspeth county tax assessor for eight years, and then, at the age of 33, ran for county judge. He served two terms, and presided in the only adobe courthouse in Texas. But, like his father before him, he did not hesitate to seek better economic opportunities. 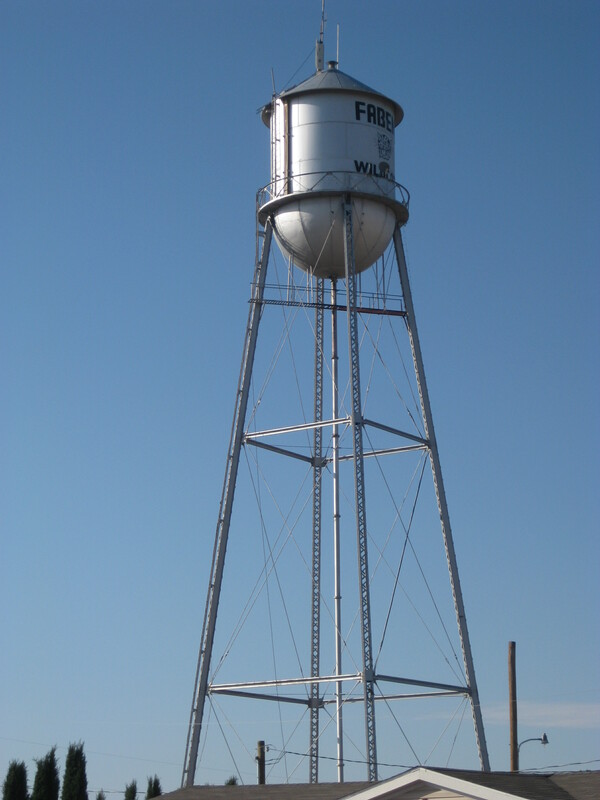 One of Amy’s sisters lived in Fabens, about 60 miles west of Sierra Blanca, and it was probably through her husband, vice-president of the local bank, that Jess learned that the water company was for sale. He bought the Fabens utility in 1931 and began much-needed improvements; the family moved to town in 1932 or 1933. For most of their time in Fabens, they lived in a repurposed army barracks, called “The Blimp,” next to the water tower. Looking back on the Depression-era enterprise, Jerry realizes they were “dirt poor.” Still, there was always enough on the table to share with hobos who came up to the house from the train. After selling the water company in 1939, Jess stayed on as a manager for a few years. In 1942, the family moved to Ysleta, just outside El Paso, where he opened a dry cleaning business. When Amy inherited some money from her father, they bought four acres of land on nearby North Loop Road. He and his brother, Ellis, built a home using materials recycled from homes demolished for highway construction. During World War II, Jess was hired by the U.S. Corps of Engineers as a civilian inspector on the Alaska Highway, a project authorized by President Roosevelt in 1942. Given Japan’s proximity, building the highway was part of a defensive strategy and an unprecedented engineering feat. After a short stint back in Texas, Jess signed on with a contractor to do plumbing work for the Corps on the Aleutian Islands. He was on his way home in August of 1945 when he learned that atomic bombs had been dropped on Japan. 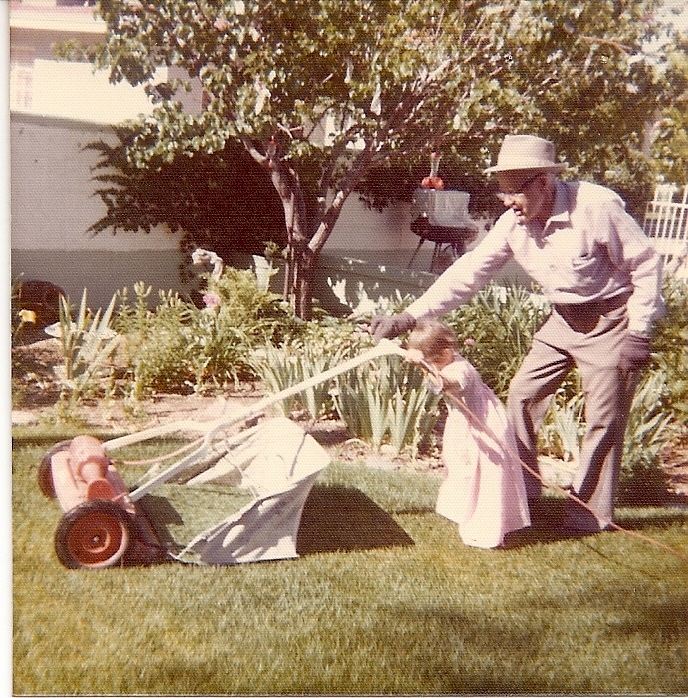 Jess was hired by the El Paso Natural Gas Company in 1947; he began in engineering and later shifted to the right-of-way and legal departments. 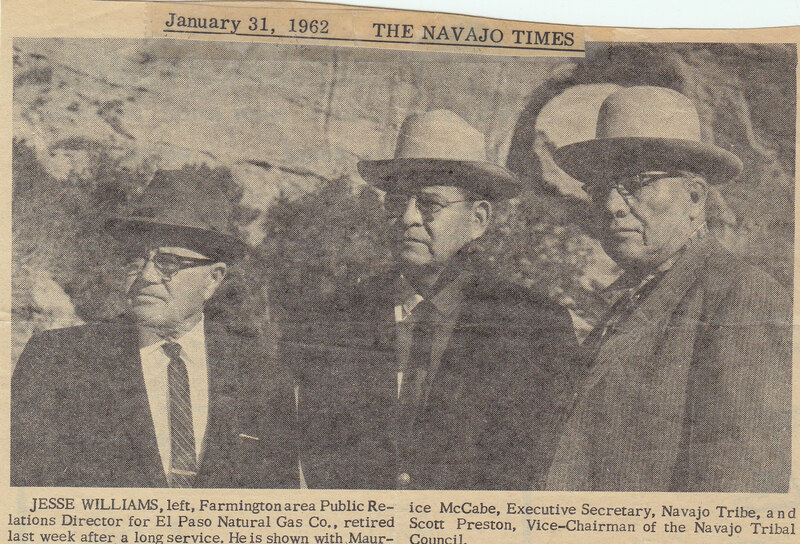 When EPNG began tapping its new gas supply source in the San Juan Basin in northwestern New Mexico in the early 1950s, Jess was transferred to Farmington, New Mexico. He represented the company on the Navajo Reservation, where it was paying for archaeological excavations as well as gas-line construction. Jess and Amy built a home in Farmington on Chaco Avenue, joined the First United Methodist Church, and put down roots. While Amy kept busy with gardening club work, Jess maintained active memberships in the VFW, the Masons, the Shriners and the Elks Lodge. When it came time for retirement in 1962, they gave no thought to leaving Farmington. The Navajo Nation observed the occasion with a photograph in the Navajo Times. Jess did not sit back and put up his feet. He began working with the Chamber of Commerce on highway development. His first project was the road across the crest of Lake Navajo Dam, begun in 1963 and completed in 1970. Then he envisioned a bridge across Pine River to the Middle Mesa, sure that increased access to the remote lake area was key to future development. When the bridge idea failed to gain support, he advocated a ferry to Arboles, Colorado, a two-hour trip he believed would be a solid tourist attraction. Jess was never all work and no play, though. He was outgoing and enjoyed talking to people in all walks of life. He loved to have his picture taken and he was as comfortable hanging from a moon as he was perched on a fence. First and foremost a family man, he was devoted to his wife and children. He was proud of his offspring’s accomplishments but, to Amy and Jess, knowing they were “pretty nice people” was the most important thing. 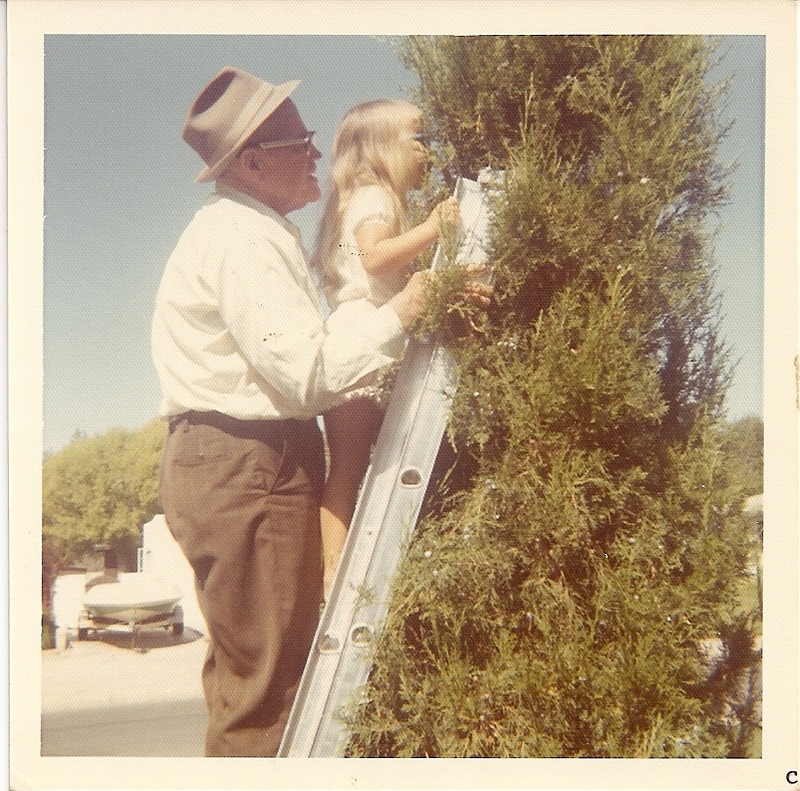 When his first grandchild was born, he decided she would call him “Papacita,” not being too fond of the ordinary “Grandpa.” Later, however, his grandchildren shortened that to Popsy, and by, extension, called Amy Mopsy. He loved it that they had given him their own unusual name. Daughter Lou and her two daughters settled in Farmington shortly after Jess and Amy moved there, allowing them to enjoy everyday grandparenting. Distant grandchildren arrived on the train for long summer visits. Nothing was better than when there was a crowd around Popsy. Younger generations were included in whatever he was doing. He took his granddaughters to the reservation to play with Navajo children while he met with their parents. Great grandchildren had their adventures closer to home. When his hearing loss made communication difficult, he would pull a coin from behind an unsuspecting ear to get the reaction he wanted. 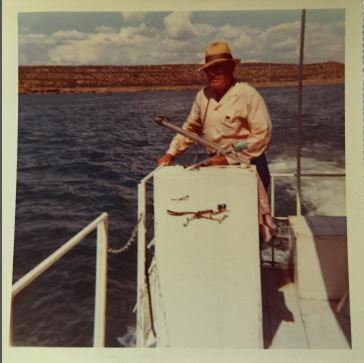 His dedication to the Lake Navajo recreational area was more than professional. 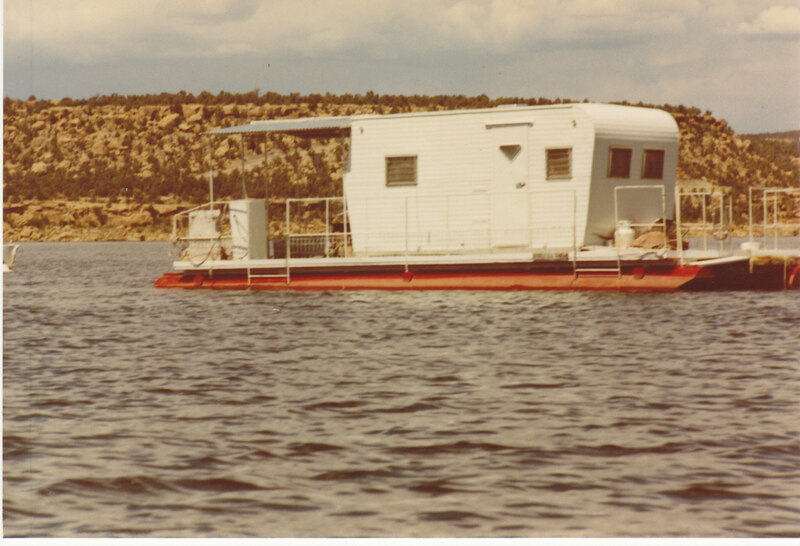 He built a houseboat—a trailer on pontoons―and christened it The Barge, and enjoyed hosting family and friends for fishing and overnight trips. On dry land, he played golf several times a week until a pacemaker interfered with his game. He and Amy, an award-winning flower arranger, devoted hours to their “show place of creative gardening.” The backyard of 1232 North Chaco Avenue was divided into three equally important sections: the patio for socializing, the manicured lawn and surrounding flower garden, and the vegetable garden beyond, with decorative wagon wheels “ridden” by every young visitor. Best of all, at least for his grandchildren, were the horned toads that lived among the vegetables. Popsy loved showing them how to tickle the toads’ stomachs. The toads never seemed to mind. He also entertained those children with a bit of fancy roping, which none of them could ever duplicate, try as they would. An avid sports fan, he didn’t mind a bit of travel to take in live action. When his oldest daughter attended the University of Texas more than 500 miles from home, he timed a rare visit with a Longhorn game. 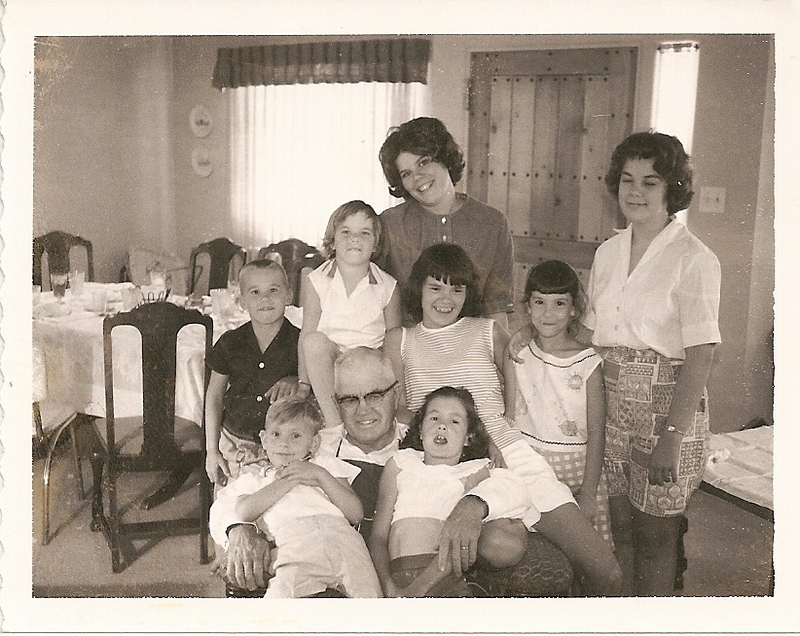 When she moved to western Pennsylvania after her marriage, he became a Pittsburgh Pirates fan, and was thrilled to host her family at the 1960 World Series, thanks to El Paso Natural Gas’ corporate tickets. He and his son-in-law were in the crowd when Bill Mazeroski hit his famous series-ending home run against the New York Yankees. His retirement attire rarely varied—a long-sleeved collared white shirt, one of his many bolo ties, dress trousers, and fedora. When he appeared in a powder blue tuxedo and white ruffled shirt to give a granddaughter away, it was deemed newsworthy by the local paper, a clear result of his devotion to her. Amy confirmed what many suspected, “I wish you could have seen his face when they brought that suit for him to wear. During his last illness, Jess became almost obsessed with unfinished civic projects, especially his dream of a bridge to the Middle Mesa. He gave his drawings and maps to the managing editor of the Farmington Daily Times, asking her to pass them along to a man who had observed the idea had “long term merit.” Once he had done that, he seemed to be at peace. He died at home on 21 February 1978, at the age of 82, surrounded by family, nursed by a granddaughter. Popsy would have been pleased that everyone gathered to celebrate his life. He would have been just as pleased, I think, that I laughed out loud at one of his jokes as the caravan of cars turned into Memory Gardens. He had once pointed to a cemetery along the road, nudged me, and asked, “How many dead people in there?” I shook my head, amazed that he knew the answer. “All of ‘em,” he chuckled. Unless otherwise noted, all photographs are from the collection of the author. Thanks to Anne R. Edwards for her capable editing. 1] For his level of education, see 1940 U. S. Census, El Paso County, Texas, pop. sched., Justice Precinct 5, Fabens, enumeration district (ED) 20, Sheet 2B, household 37, Jess C. Williams; digital images, Ancestry.com (http://www.ancestry.com : accessed 18 January 2015); citing NARA microfilm publication T627, roll 4028. The quote is from his son; see Jerry L. Williams, son of Jesse C. Williams, El Paso, Texas, interview by Malissa Ruffner, 10 December 2014; notes privately held by interviewer, Baltimore, Maryland, 2015. 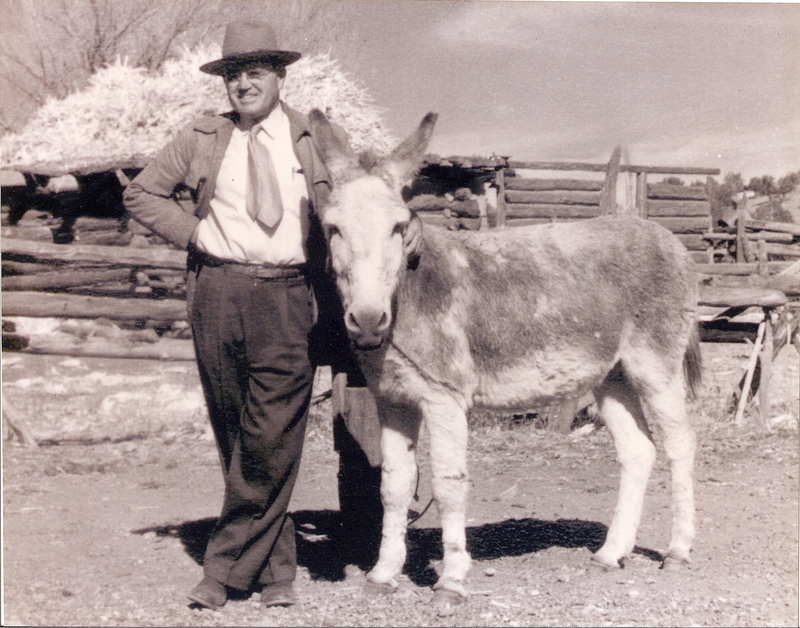 Jesse D. and Ocie Ola (Manning) Williams Family Bible Register (photocopy); Julia Mae Jenkins Collection; privately held by Tom D Ellison, Sierra Blanca, Texas. McBride-Williams Correspondence, 1890–1934, Julia Mae Jenkins Collection; digital images and transcriptions held privately by Malissa Ruffner, Baltimore, Maryland, 2015. 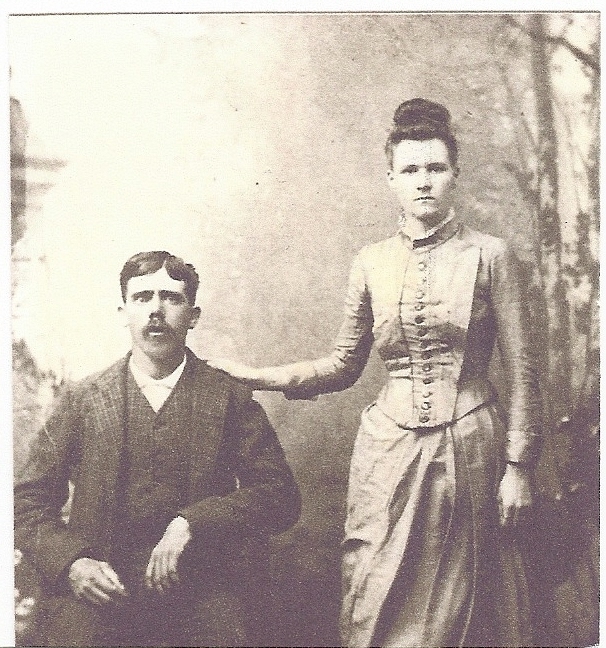 Jesse D. and Ocie Ola (Manning) Williams Family Bible Register (photocopy). The burial place was reported by Tom D Ellison, grandson of Jesse D. and Ocie Ola Williams, interview by Malissa Ruffner, 6 October 2010; notes privately held by interviewer, Baltimore, Maryland, 2015. The location information was confirmed by searching Find A Grave, database and images (http://findagrave.com : accessed 20 January 2015), memorial pages for Frances Williams (#2544937), Ira [Eva] Williams (#25449388), and Ruby Williams (#25449369), citing Water Valley Cemetery, Tom Green County, Texas. The birth dates for all three markers match the Bible entries. For the date of settlement in Sierra Blanca (1910), see “Hudspeth County Pioneer Dies At The Age of 86,” The Hudspeth County (Texas) News, 8 April 1949, p. 1, col. 5. 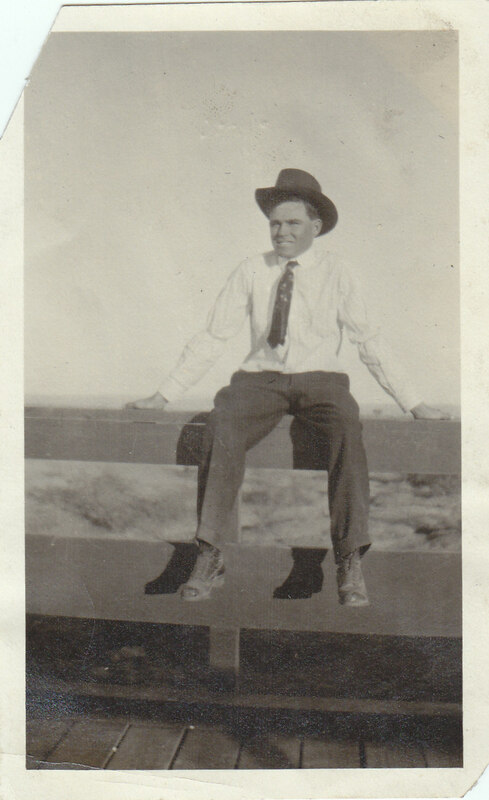 Martin Donell Kohout & Texas State Historical Association, “Hudspeth County,” Handbook of Texas Online (http://www.tshaonline.org/handbook/online/articles/hch21 : accessed 18 January 2015). “Hudspeth County Pioneer Dies At The Age of 86,” The Hudspeth County News, 8 April 1949. 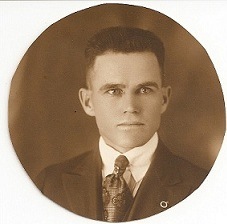 In 1920, J.D. Williams was a ranchman working on his own account; in 1930, he was a merchant at a filling station. See 1920 U. S. Census, Hudspeth County, Texas, pop. sched., Sierra Blanca, Justice Precinct 1, ED 118, sheet 3B, dwelling 88, family 88, J.D. Williams; digital images, Ancestry.com (http://www.ancestry.com : accessed 18 January 2015); citing NARA microfilm publication T625, roll 1817. 1930 U. S. Census, Hudspeth County, Texas, pop. sched., Sierra Blanca, Justice Precinct 1, ED 1, sheet 2A, page 235 (stamped), dwelling 20, family 20, Jesse D. Williams; digital images, Ancestry.com (http://www.ancestry.com : accessed 18 January 2015); citing NARA microfilm publication T626, roll 2359. 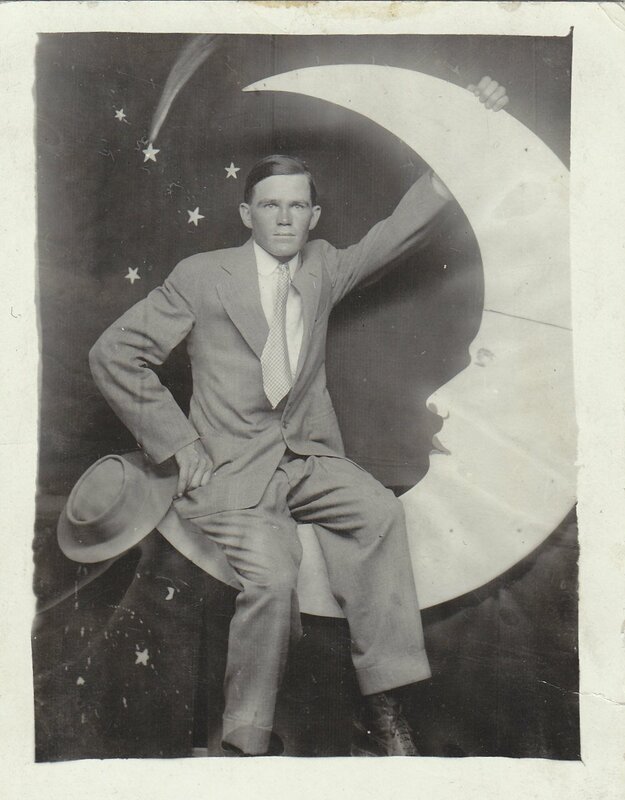 Son Ellis of the same household was working at the filling station, as well as son John L. Williams, of household 18. 1930 U. S. Census, Hudspeth County, Texas, pop. sched, Sierra Blanca, Justice Precinct 1, ED 1, sheet 2A, page 235 (stamped), dwelling 9, family 9, Jesse C. Williams; digital images, Ancestry.com (http://www.ancestry.com : accessed 18 January 2015); citing NARA microfilm publication T626, roll 2359. 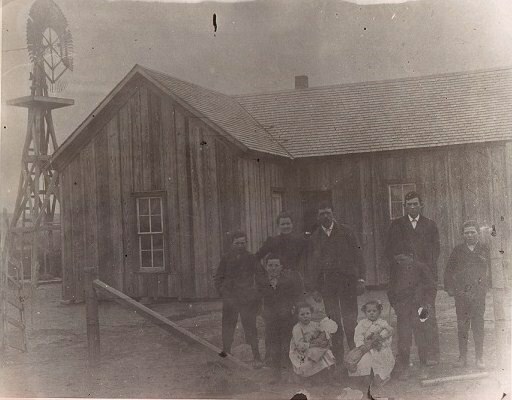 Kohout & Texas State Historical Association, “Hudspeth County,” Handbook of Texas Online. 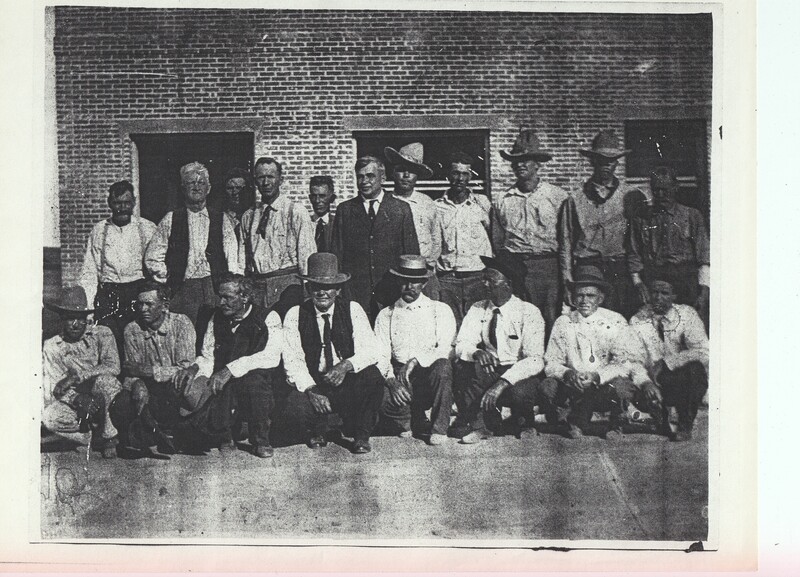 “First County Officials–Organizers– Friends of Hudspeth County 1917 Taken Front of Courthouse Under Construction,” photograph; Julia Mae Jenkins Collection. “World War I Draft Registration Cards, 1917-1918” digital images, Ancestry.com (www.ancestry.com : accessed 4 December 2013), registration card for Jesse Clarence Williams, 5 June 1917, citing NARA publication M1509. Texas Military Forces Museum, “132d Field Artillery Regiment Lineage and Honors,” Texas Military Forces Historical Sketch (http://www.texasmilitaryforcesmuseum.org/36division/archives/132/132lin.htm : accessed 15 January 2015). For his induction and sailing date, see World War I Service Cards, Jesse C. Williams; Texas Military Forces Museum, Austin, TX. 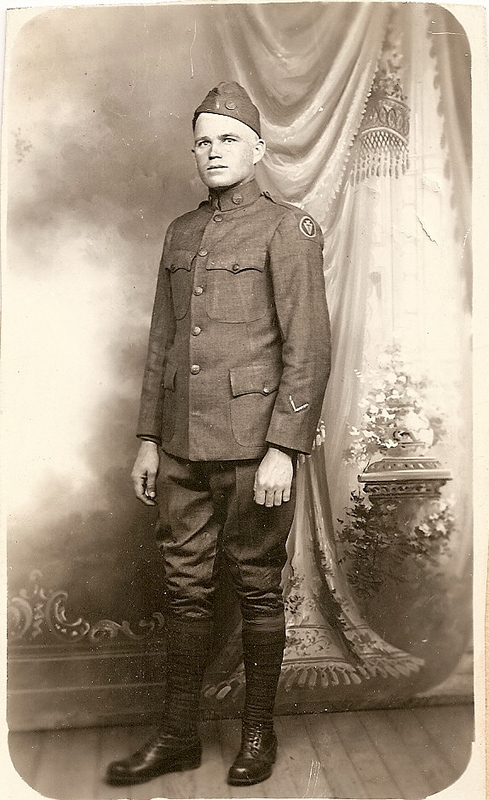 Photograph of Jesse C. Williams in WWI uniform; Jerry L. Williams Collection; privately held by Jerry L. Williams, El Paso, Texas. Jesse C. Williams gave the original to his son, Jerry, and inscribed his unit information and the date on the back. 1920 U. S. Census, Hudspeth County, Texas, pop. sched., Sierra Blanca, Justice Precinct 1, ED 118, sheet 3B, dwelling 88, family 88, Jessie C. Williams; digital images, Ancestry.com (http://www.ancestry.com : accessed 18 January 2015); citing NARA microfilm publication T625, roll 1817. College of Industrial Arts, The Daedalian, Yearbook of the College of Industrial Arts, 1919 (Denton, Texas: College of Industrial Arts, 1919), 150; digital images, University of North Texas Libraries, The Portal to Texas History (http://texashistory.unt.edu/ark:/67531/metapth129002/ : accessed November 18, 2014). “Elgin Girl Weds West Texas [Man],” undated clipping (photocopy), ca. 27 July 1920, from unidentified newspaper, probably published in Austin; Ruffner Family Papers, privately held by Malissa Ruffner, Baltimore, MD, 2015. Texas Bureau of Vital Statistics, birth certificate 64151 (1921), Mary Elizabeth Williams, Texas Department of State Health Services, Austin, Texas. For the birthdate of Louise Williams [Malone], see “U.S., Social Security Death Index, 1935–2014,” database, Ancestry.com (http://www.ancestry.com : accessed 21 January 2015), entry for Louise W. Malone, 1923–2004, Flora Vista, New Mexico. For the birth of Jerry, see Texas Bureau of Vital Statistics Health Department of the City of El Paso, Texas, unnumbered certificate (1929), Jerry Loyd Williams, Health Department of the City of El Paso, Texas. 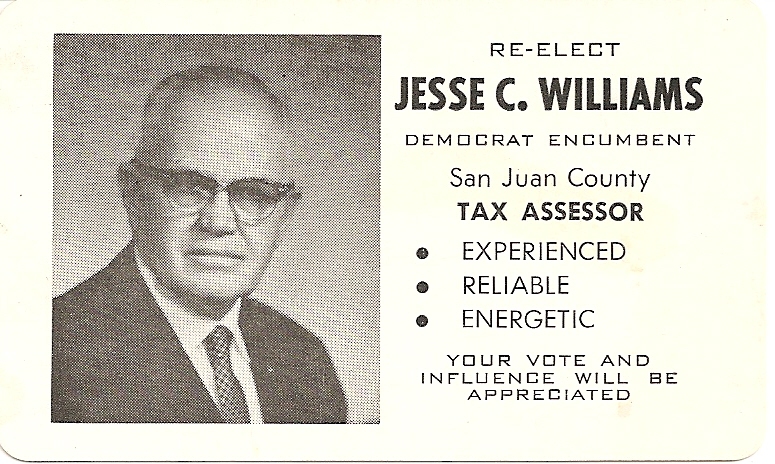 For his years a tax assessor, see “Jesse C. Williams – Democratic Candidate for [San Juan] County [New Mexico] Tax Assessor”, campaign broadside ; held by Ruffner. He was a judge by 1930; see 1930 U. S. Census, Hudspeth Co., Texas, pop. sched., Sierra Blanca, Justice Precinct 1, ED 1, sheet 2A, page 235 (stamped), dwelling 9, family 9, Jesse C. Williams. “Jesse C. Williams – Democratic Candidate for [San Juan] County [New Mexico] Tax Assessor”, campaign broadside . 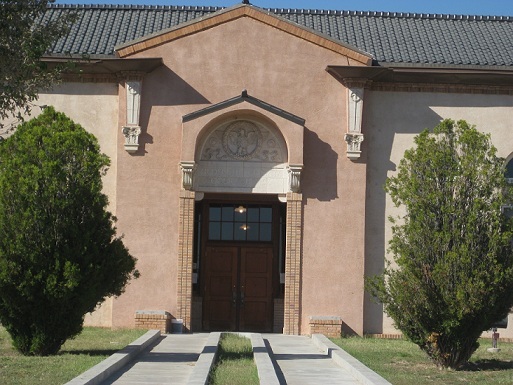 Texas Historical Commission, “Hudspeth County Courthouse – Sierra Blanca,” Texas Historic Courthouse Preservation (http://www.thc.state.tx.us/preserve/projects-and-programs/texas-historic-courthouse-preservation/restored-courthouses/hudspeth : accessed 22 January 2015). Jerry L. Williams, interview by Malissa Ruffner, 6 October 2010; interview notes privately held by interviewer, Baltimore, Maryland, 2015. 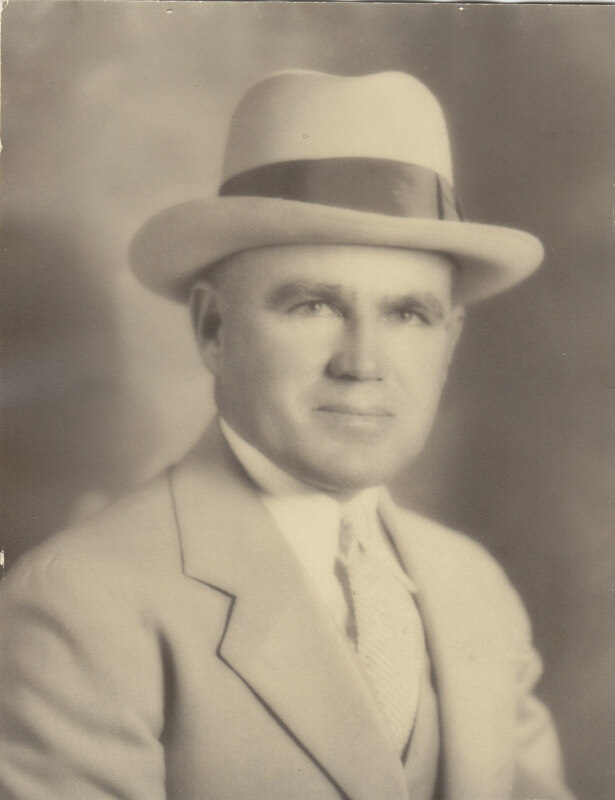 Amy’s brother-in-law, Charles W. Bickley, was Vice-President/Cashier of Fabens National Bank by 1924. See “La Acequia, 1924” yearbook index, Yearbook Digital (http://www.yearbookdigital.com/yearbooks/yb_1924_el_paso_county_school_annual_index.htm : accessed 22 January 2015). For the year of purchase, see Woman’s Missionary Society of First Baptist Church, Fabens, Texas, “History of Fabens, Texas,” undated; Julia Mae Jenkins Collection, unpaginated. For the year of the move, see Jerry L. Williams, interview, 6 October 2010. Jerry L. Williams, interview, 6 October 2010. 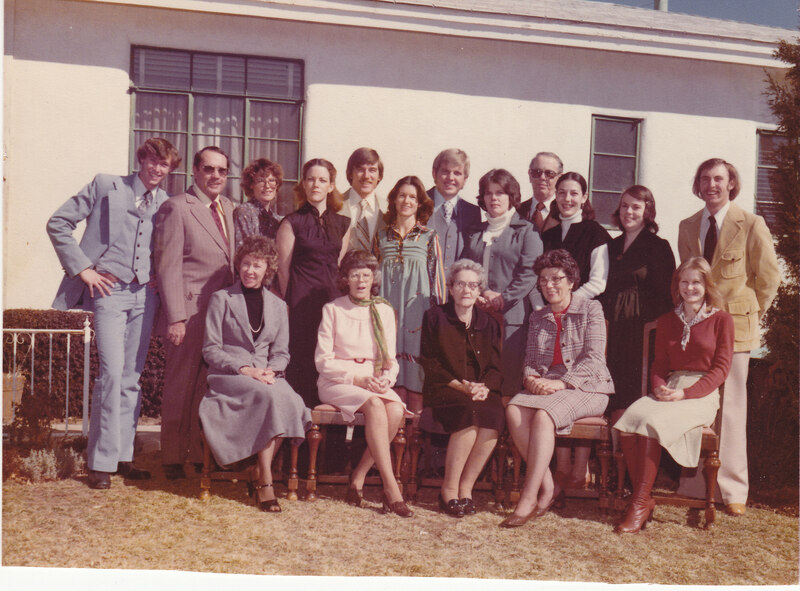 For the year of the sale, Woman’s Missionary Society of First Baptist Church, Fabens, Texas, “History of Fabens, Texas,” undated; Julia Mae Jenkins Collection, unpaginated. The family was still living in Fabens in 1940, where Jess’s occupation was listed as a paid worker “Superintendent/manager of public utilities.” See 1940 U. S. Census, El Paso County, Texas, pop. sched, Justice Precinct 5, Fabens, ED 20, Sheet 2B, household 37, Jess C. Williams; digital images, Ancestry.com (http://www.ancestry.com : accessed 18 January 2015); citing NARA microfilm publication T627, roll 4028. According to Jerry, they were still living in Fabens when the attack on Pearl Harbor took place. See Jerry L. Williams, interview, 10 December 2014. Jerry L. Williams, interview, 6 October 2010. “Jesse C. Williams – Democratic Candidate for [San Juan] County [New Mexico] Tax Assessor”, campaign broadside . PBS, “The Building of the Alaska Highway,” article, American Experience (http://www.pbs.org/wgbh/americanexperience/features/general-article/alaska-building/ : accessed 22 January 2015). Jerry L. Williams, interview, 10 December 2014. “Jesse Williams’ Look For Good in Every Day,” p. 11A. “Jesse C. Williams – Democratic Candidate for [San Juan] County [New Mexico] Tax Assessor”, campaign broadside .“Jesse Williams’ Look For Good in Every Day,” p. 11A. “Jesse Williams Dead at 82,” Farmington Daily Times, 21 February 1978, p. 1. For the company history, see John H. McFall and the Texas State Historical Association, “El Paso Natural Gas Company,” Handbook of Texas Online (http://www.tshaonline.org/handbook/online/articles/doeet : accessed November 17, 2014). Uploaded on June 12, 2010. 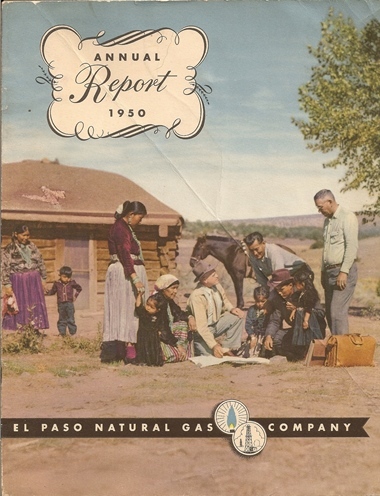 El Paso Natural Gas Company, Annual Report 1950 (El Paso: El Paso Natural Gas Company, 1950), inside cover. “Jesse C. Williams – Democratic Candidate for [San Juan] County [New Mexico] Tax Assessor”, campaign broadside . “Occupy your time, stay away from debt…take good care of your health,” undated magazine clipping, c. 1970, from unidentified El Paso Natural Gas Company publication; Ruffner Family Papers, privately held by M. Ruffner. “Life Begins at 60-Plus For These Young-at-Heart,” Farmington Daily Times, 19 November 1972, p. 15–16. “The Best Candidates,” Farmington Daily Times, 7 November 1966, p. 4, col. 1; digital images, NewspaperArchive.com (http://www.newspaperarchive.com : 22 January 2015). Schaaphok, Pat, “Cattaneo Romps to Sheriff Win”, Farmington Daily Times, 9 November 1966, p. 16, col. 6; digital images, NewspaperArchive.com (http://www.newspaperarchive.com : 22 January 2015). “Jesse Williams Dead at 82,” Farmington Daily Times, 21 February 1978, p. 1. “Occupy your time, stay away from debt…take good care of your health,” c. 1970. “Jesse Williams’ Look For Good in Every Day,” p. 11A. Anne R. Edwards, granddaughter of Jesse C. Williams, interview by Malissa Ruffner, 2 January 2015; interview notes privately held by interviewer, Baltimore, Maryland, 2015. Anne R. Edwards, granddaughter of Jesse C. Williams, interview by Malissa Ruffner, 25 January 2015; interview notes privately held by interviewer, Baltimore, Maryland, 2015. Anne R. Edwards, interview, 25 January 2015. 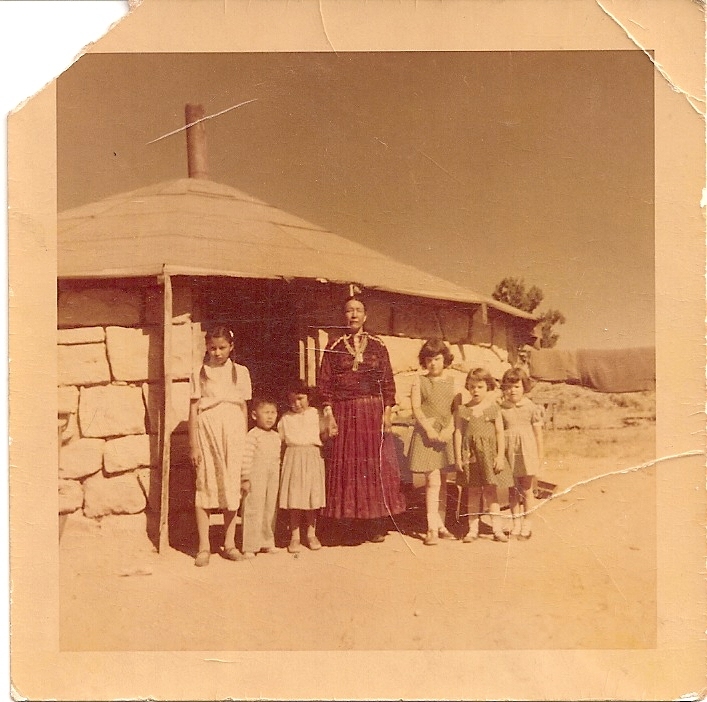 Malissa Ruffner, “Longhorn Lineage” blog post, Family Epic (https://malissaruffner.com/2010/06/25/longhorn-lineage/ : accessed 22 January 2015). Anne R. Edwards, interview, 2 January 2015. Val Cooper, “San Juan Digest,” Farmington Daily Times, 7 January 1975, p. 4, col. 4; digital images, NewspaperArchive.com (http://www.newspaperarchive.com : 22 January 2015). Val Cooper, “San Juan Digest,” Farmington Daily Times, 22 February 1978, p. 4.